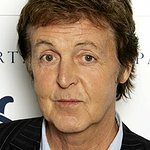 Paul McCartney has stepped up in the fight for gun control by recording a message for the Voices Against Violence campaign. The campaign was started by Tony Bennett, his son Danny and the Brady Campaign to Prevent Gun Violence, and allows people to leave a message for their Senator imploring them to keep guns out of the wrong hands. Users are encouraged to text MYVOICE to 877877 and will be asked for their ZIP code. They will then be rung back with a message from Sir Paul and prompted to leave a voice message for their Senate office. 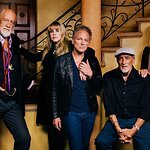 Other stars who have supported the campaign include Mia Farrow, Josh Groban, Gloria Estefan, Juanes, Alec Baldwin, KD Lang and Rosie O'Donnell. To find out more, visit VoicesAgainstViolence.com.